Despite efforts to narrow the gap between its highest- and lowest-performing students, proficiency and graduation rates for blacks still lag behind the highest-achieving subgroup. One community leader says that’s because the district lacks a strategy. Something caught my eye as I was digging through Clark County student proficiency data last week. In the past four years of data for grades three through eight, the black student subgroup had the lowest percentage of students reaching proficiency. Every year. Every grade. For both reading and math. What’s more, black students in the past three years have had the lowest graduation rate out of seven ethnic groups. The district’s 2014 Pledge of Achievement set forth a goal of reducing the percentage-point gap between the proficiency rates of lowest- and highest-performing subgroups. That ideally means lifting the performance of groups at the low end of the spectrum, not bringing down high performers. But by my calculations, the results have not been so hot. In sixth-grade math and fourth-grade reading and math, the gap has grown slightly from 2015-16 to 2016-17. In the other nine categories, it has decreased by at most 3.1 percentage points. Two years worth of data isn’t enough to draw firm conclusions. Prior to these years, Nevada had a different standardized test, so you can’t extend the multi-year comparisons. But even from 2012-13 to 2013-14, that gap barely budged. In most cases, it slightly increased. The consistent finding came as no shock to Yvette Williams, the head of the Clark County Black Caucus, who’s seen this kind of data for years. She’s advocated a number of possible fixes, including expanding access to magnet schools for black students. (The district’s seven career-tech academies have, on average, a lower percentage of black students than the district as a whole). Williams also believes in expanding the current “weighted funding” that provides schools with extra money for certain students. Students must be in the bottom 25 percent in testing AND meet other requirements — such as qualifying for free or reduced lunch or being an English language learner. Williams says that money should be directed to all students in the lowest 25 percent. Chief Academic Officer Mike Barton acknowledged work still needs to be done. 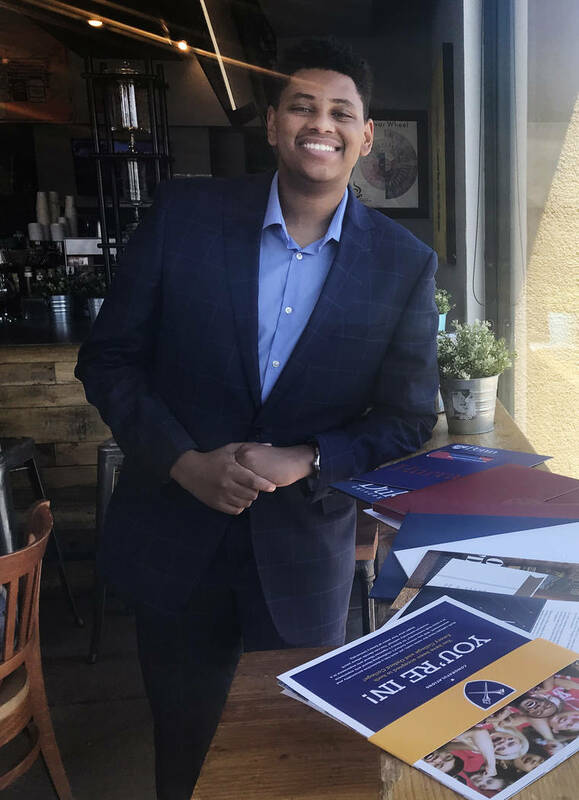 The issue irritated 17-year-old Yednkachew Assefa, a 2018 graduate of Valley High School and previous president of the Black Student Union. That’s why he wrote his senior research essay on the topic. He argues for more resources for low-income students and more African-American mentors. “These students, they need to walk into class and see someone who looks like them and someone who will push them,” he said. 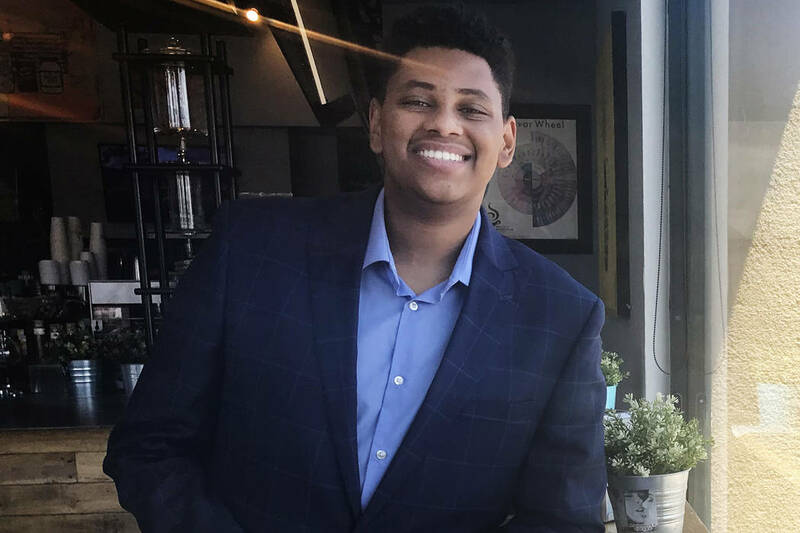 Assefa, whose parents are Ethiopian immigrants, has written his own success story. He was accepted by many prestigious colleges before deciding to attend the University of Pennsylvania on a scholarship in the fall. In the future, he hopes to set an example for younger black students. The Clark County Black Caucus will highlight the African-American student achievement and opportunity gaps in a presentation to the Legislative Committee on Education meeting on June 21 at 8:30 a.m. in the Grant Sawyer State Office Building in Las Vegas.